A unique construction method fast, efficient and flexible spiral steel bands are assembled automatically. Digelis Simplex technology is based on a verinox patented reactor. This method of construction works without welding or bolting applicable to mesophilic and thermophilic anaerobic digesters with or without integrated gasholder. Digelis Simplex has been implemented for over 70 years by our partner. 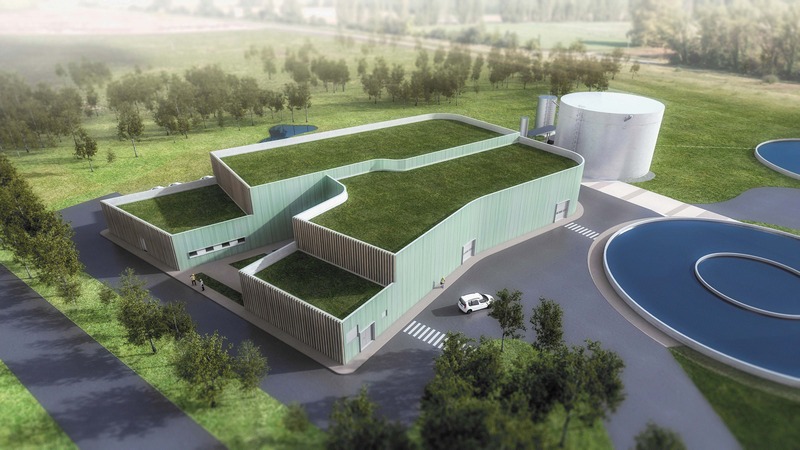 The construction of the reactor is carried out directly on site on concrete slab foundation by rolling around a circular structure of stainless steel Verinox strips. To ensure sealing the reactor, the steel strips are joined by folding (Double Seam Lipp system). This method of quick and effective construction is comparable to an advancing screw: as every rounds completed, the reactor rises and takes shape. The sludge mixing inside the reactor requires few energy.